Clients that purchased the previous AIX 7.1 Enterprise Edition 5765-G99 that have maintained SWMA do not have to upgrade to the new AIX 7.1 Enterprise Edition 5765-CD1. The entitlement to the new product is done automatically. See below for more information. The big feature for AIX V7.2 allows concurrent patching of the entire AIX kernel on the fly—with no interruption to applications. Initially this capability will only be supported for Interim Fixes but it is the foundation for broader concurrent patching in the future. Server Based Flash Caching – Transparently use flash drives to cache I/O. There is also a new Technology Level for AIX 7.1, Technology Level 4, which includes a few of the AIX 7.2 enhancements (but not concurrent patching). And in case you missed it, the support life for AIX 7.1 Technology Level 3 was extended last April to 2017. AIX Enterprise Edition has been restructured to be AIX version specific. 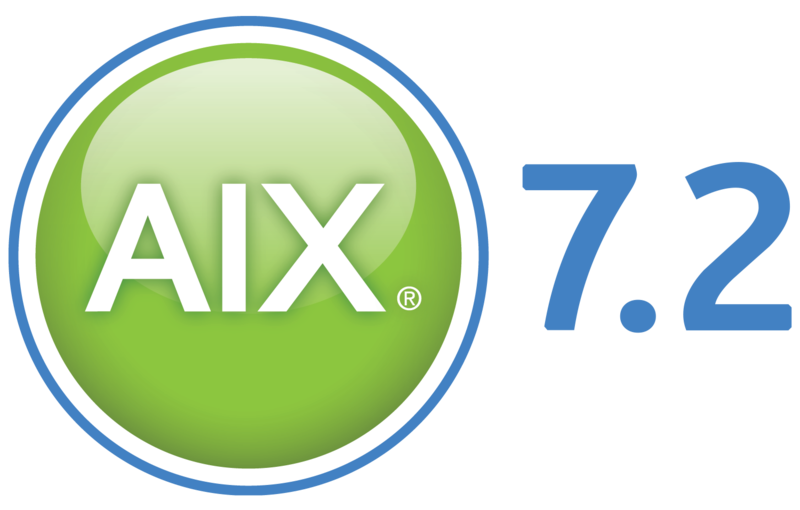 There is a new AIX 7.1 Enterprise Edition and a new AIX 7.2 Enterprise Edition. Existing AIX EE clients can request a no charge upgrade to the new AIX Enterprise Edition products. The new structure provides additional flexibility to tailor the content for each AIX release. Existing AIX EE clients can move up to the new AIX Enterprise Edition products at no extra charge. The content for each of these products is similar, except that the AIX 7.2 Enterprise Edition does not include Dynamic System Optimizer (DSO) because DSO is already included in the AIX 7.2 Standard Edition. The new component, IBM BigFix Lifecycle, will include functionality for OS Patching, 3rd Party App Patching, Offline Patching, Asset Discovery, Software Distribution, and Sequenced Task Automation. The new AIX EE products do not include the AIX Workload Partitions Manager because that product is dependent on IBM Systems Director, which has been withdrawn. Wonder why IBM withdrew the old AIX Enterprise Edition for AIX 7.1 at the end of September 2015? Why is AIX 7.1 Enterprise Edition going out of support before AIX 6.1 Enterprise Edition? The withdrawal of all AIX 6 editions including Standard, Express, and Enterprise Edition was done on September 29. The end of support for all AIX 6 editions is April, 2017. The old AIX 7.1 Enterprise Edition (product 5765-G99) was also withdrawn, but the end of support date was set to September 2016 because it was replaced by the new AIX 7.1 Enterprise Edition (product 5765-CD1). This is why the End of Support date for AIX 7.1 Enterprise Edition is earlier than for AIX 6, because AIX 7.1 EE has been replaced. CORRECTED Jan 5, 2016 If you purchased the old AIX 7.1 Enterprise Edition under the product id (PID) 5765-G99 and you maintained SWMA, you do not need to upgrade to the new AIX 7.1 Enterprise Edition PID 5765-CD1. The old product and the new product share the same underlying SWMA, so any existing client will automatically be entitled to the new product. I did not understand the structure sufficiently, so I passed on bad information that an upgrade was needed. That was incorrect. If you obtain media electronically via Electronic Software Subscription (ESS), then you will be able to download the new features such as Bigfix. If you want obtain physical media, an MES Media upgrade would be required to obtain the new physical media. Please note that AIX 7.1 Standard Edition PID 5765-G99 was not withdrawn and is not affected by the changes to AIX 7.1 Enterprise Edition. Virtual Network Interface Controller (vNIC) support. The VIOS will support virtual networking using Single Root I/O Virtual (SRIOV) adapters that are Live Partition Mobility capable. This allows clients to get the benefits of SRIOV, including Quality of Service and reduced VIOS CPU load while retaining the ability to migrate VMs/LPARs to other machines. Support for PowerVM Novalink. PowerVM Novalink is a new technology intended to provide greatly improved scalability for managing POWER8 VMs/LPARs compared to using the Hardware Management Console (HMC). The HMC will continue to be available, but we expect that over time most clients will probably use NovaLink to manage virtualization because it works much better with OpenStack managers (including PowerVC). Shared Storage Pool enhancements. Shared Storage Pools can have up to ten tiers within a storage pool for better control, the ability to increase the size of a virtual disk, and improved resiliency of the repository disk. Live Partition Mobility enhancements. Mobility will have better validation of NPIV configurations, performance improvements, and target vswitch selection. You can now use mobility when using only one VIOS. Link to PowerVM and PowerVC announcement letter. Virtual HMC appliance. A new offering provides the HMC software as a virtual appliance (product number 5765-HMV) that can run on a client’s existing x86 servers running VMWare or RedHat KVM virtualization. This virtual appliance will provide the same hardware, service, and virtualization management capabilities of a traditional physical HMC. 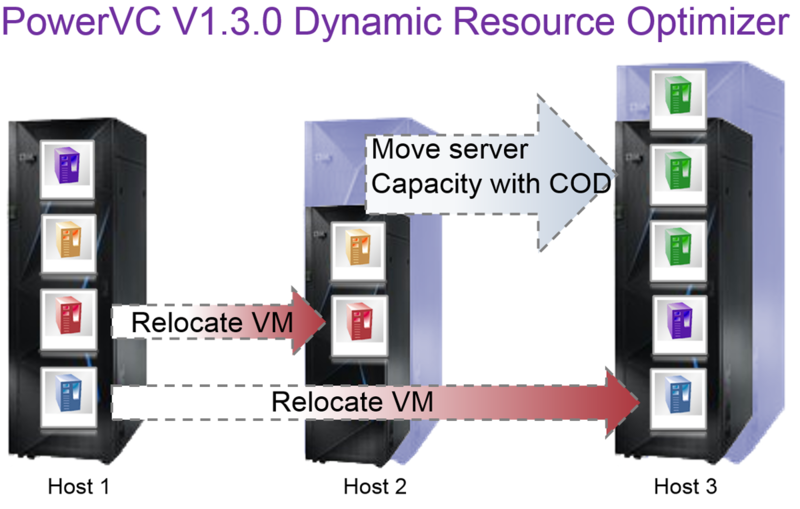 Dynamic Resource Optimizer (DRO), a new PowerVC component that uses policy-based control to either automatically move resources to workloads using Mobile COD or to move workloads to available resources using VM migration. DRO removes the need for manual rebalancing of workloads during periods of constrained CPU resources. The DRO facility has an advisor option that lets the administrator see what actions should be taken to balance the workload without actually taking the action. Support for PowerVM multiple shared processor pools (aka logical pools). This support was also delivered in PowerVC 1.2.3 Fixpack 2. PowerVC now has a support policy to let you know how long each PowerVC release will be supported. Starting with PowerVC 1.3.0, each release will be supported for eighteen months. This relativity short lifecycle is driven by the rapid innovation in OpenStack. Link to PowerHA SystemMirror V7.2 announcement letter. As usual, see the actual announcement letters for more detail. This entry was posted in AIX & Power Systems Blogroll, Cloud and tagged AIX, PowerVC cloud openstack, PowerVC PowerVM Cloud, PowerVM. Bookmark the permalink. Nicely summarized Jay, thanks ! Concurrent patching sounds very slick. Disapointed to see that python, ruby and some GNU tools are still not integrated with the base system. Also, AIX remains a painful OS when you have to compile some open sourced software, too much old libraries or not libraries at all. However glad to see that ssh are now part of AIX but how long did it take…i hope that SSH release will not be too old as it is on GNU/Debian Stable. Does this mean that we have to pay again when migrating from AIX 7.1 EE to AIX 7.2 EE ? Maybe the question is, if you change 5765-G99 to 5765-CD1 then a move to 5765-CD3 would maybe not be for free. So you have until September 2016 to test 7.2 and decide if you want to move there fast. Standard policy is to provide no charge upgrades as part of the SWMA coverage. The new AIX 7.1 Enterprise Edition and the new AIX 7.2 Enterprise Edition use the same SWMA so it automatically the ability to upgrade to the AIX 7.2 offering at no additional charge. Not with commercial tools. IBM Lab Services has an LPM Automation Tool and Provisioning Toolkit that may be able to help with your requirements. As always, incredibly helpful and informative information. Thank you Jay! Do you know the exact date of PowerVC V.1.3 GA? Hi Jay, do you care to elaborate on AIX Express edition roadmap? The AIX Express Edition has been withdrawn from Marketing. No new copies will be sold. There has been no withdrawal from support. Hi Jay – can you please tell me if AIX 7.2 supports the older POWER6 servers? my e-config tool allows me to quote AIX 7.2 but the IBM Sales Manual does not state that POWER6 servers are supported on AIX 7.2. If answer is yes, do you know where I can find this answer written in an IBM document that I can send to my customer? Thank you for your support. The announcement letter states that POWER7 or POWER8 is a prerequisite. 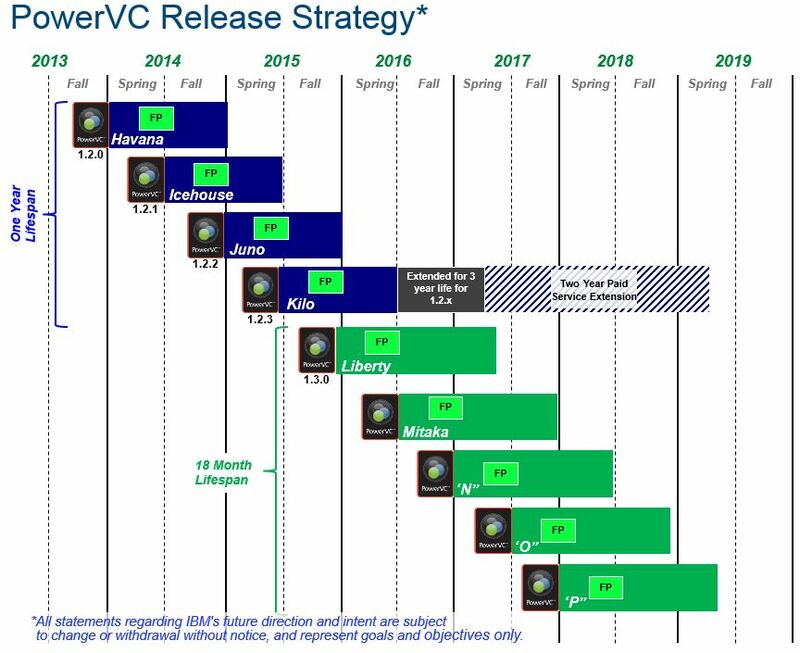 IBM hasn’t explicitly stated this but looking at it’s strategy, they appear to have ‘abandoned’ the future development of AIX, in favor of Linux, as I don’t see any roadmap for AIX 8 / 8.1 or above. There’s of course alot of positives for AIX such as the relative presumed security of the system vs Linux, it’s relative stable platform ideal for critical financial workloads and it’s JFS2 / LVM system that’s much more flexible then what’s available on the x86-64 world right now. Lot’s of conspiracy theories abound such as “The AIX developers are retiring so need to wittle down on AIX.” and “IBM hasnt’ really released a roadmap for AIX 8+ rather then something that’s termed ‘iNext’ , if that is even a real product”. What is your take on AIX and it’s role in future computing? Does IBM see it as n ECloud (Enterprise Cloud) OS, rebranded or not? The reality is that AIX will continue to be the infrastructure for key enterprise workloads. But it’s is also the reality that vast preponderance of applications being developed today are not being written on UNIX platforms like AIX. Although AIX provides significant advantages in many areas (reliability, availability and vertical scaling), those attributes are less valued for emerging workloads. Net: I expect AIX to continue for a long time. Hello Jay, Virtual I/O Server (VIOS)s still based upon AIX V6. When will it be based on AIX V7 ? Will IBM abandon VIOS on AIX and make strictly a “Linux” based appliance. ? Since I no longer work for IBM (I retired and now work at SUSE), I don’t know the current plans. I do know that the past direction was to move the VIOS to a new AIX release when there was a compelling reason to do so (for example, the move to AIX 6 from AIX 5.3 was driven by the RAS features in AIX 6). I would be surprised if IBM chose to move to Linux for the VIOS.